back in my days working with NCompass Resolution and Microsoft Content Management Server (MCMS), I began an MCMS FAQ that was published in CHM and HTML formats. I used to write the topics in Resolution (and later in MCMS) and then I had my ASP script that dynamically produced an HHC table of contents so that Microsoft Help Workshop could create a full-text search version of the document. well that was back in about 1999 and I obviously didn't remember all the lessons from back then. today I was working with basically the same setup (minus MCMS) for Metalogix Software's SharePoint migration solutions. I was creating a new CHM and found that Help Workshop will compile the file, but the result was, "This program cannot display the webpage". I found the answer after looking at the broken .HHC file and a working file side-by-side. so here's my little test. can you see the difference? answer: the help file directories must not contain spaces in their names. "Foo Directory" will fail, "BarDirectory" will work. now that's a gotcha that the app should catch and report. BTW - this same error will appear if you don't select a "Default file" inside the Help Workshop project options. however, in that case, everything works once you click on a topic. a friend of mine shared a funny little fact with me today. 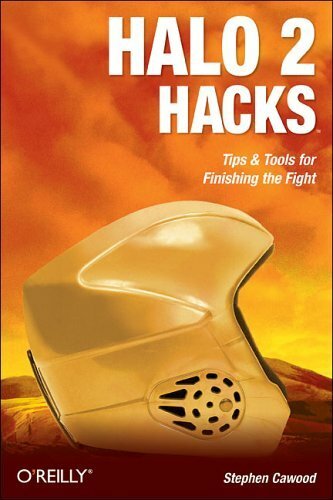 it turns out that Amazon is targeting customers of my Halo 2 battle guide for the new Halo 3 Official Guide. I previously whinged about my Xbox 360 crashing. now I'll vent a little bit more. the replacement machine literally crashed within five minutes of turning it on. so the biggest game launch in history is upon us, and I'm left out of the rumble until I get the replacement replacement. arghhh! I just sent the Xbox Global Marketing team an e-mail about these issues. as a professional courtesy, I'll give them a chance to respond before I publish the e-mail. update: they did respond and said that they are taking the problem seriously and have allocated roughly one billion to deal with defects. as if to mock me further... MS is sending me e-mails reminding me of what I'm missing. these weekend the Dalhousie Water Polo team borrowed some water from the ducks as we had a BBQ and game in Chocolate Lake (in Halifax). I've posted many photos on my live space. - why are three people checking me? I hope we scored on this play. O'Reilly has added a cool feature to their blog pages. 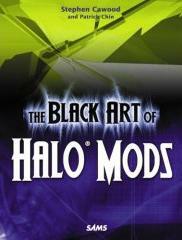 for example, you can listen to this blog post of mine about Halo 2 modding. the site is powered by ReadSpeaker, which is an app that will read the text on website pages. I'd be upset that the app can't pronounce my last name, except that it can't pronounce 'Xbox' either. it looks like I'll be taking over as the web monkey for the Dalhousie Water Polo team. if anyone out there wants to send me their 2c regarding possible improvements, please feel free. during my days with the Microsoft Content Management Server (MCMS) team, I worked with a Microsoft partner called Metalogix Software. at the time, they were the best option for customers who wanted to migrate any sort of website to MCMS. since then, MCMS has been discontinued as a separate product, but some of the functionality of MCMS has been added to Microsoft Office SharePoint Server (MOSS). with this change, Metalogix adjusted their focus. today, their primary business is sophisticated SharePoint migration solutions. my latest gig is going to be some contract work for Metalogix. I'll be helping them build up their product documentation and FAQ resources. if you have any questions about the examples, go to the forums and ask away. - Managed feature teams through the software development cycle. - Designed and wrote specifications for various Microsoft Office server features. - Founder and co-author of the Microsoft Content Management Server (MCMS) FAQ. The MCMS FAQ is published on Microsoft.com (HTML and CHM formats) and contains thousands of developer-focused questions and answers about MCMS. - Program Manager/Lead Developer for the MCMS sample applications project. Managed, developed and shipped MCMS sample applications. - Helped customers, partners and Microsoft Consulting Services personal with MCMS issues. - Researched and resolved technical issues related to the use and development of web sites running NCompass Resolution content management software. - Developed sample applications using the Resolution Publishing Application Programming Interface. These applications included a bulletin board, a version of John Conway’s ‘Game of Life,’ and a dynamic image gallery. until recently, I have to admit that I didn't put much thought into where I bought books, but now that I'm more involved with the publishing industry, I have a better understanding of what's at stake. if you want to support your favourite small press, or your favourite author, you should try to buy their book directly from the publisher. for example, if you were to buy my Augmented Reality book from the Pragmatic Bookshelf site, both the publisher and the authors would get a larger percentage of the sale than they would if you had purchased the book from a large online retailer. this isn't always the case, but quite often it makes a huge difference to the publisher. now, I'm not suggesting that anyone should stop buying from the big retailers. I'm sure that most of my books will still come from sites such as Chapters and Amazon. however, when I'm not looking for a bestseller, I'll make more of an effort to see if I can help support a small press or a promising author. last weekend, I finally made it to Nova Scotia's Kejimkujik Park. while camping at Thomas Raddall park, we made the short drive to the "Keji" seaside adjunct and did some walking. - the Bonavista lighthouse. you have to take a picture of a lighthouse or you're not allowed to leave "the rock." -hmm, what was this formation called again? - this is what puffins look like when your telephoto lens is broken. as it turns out, they're quite small. - Cape Spear, the easternmost point in Canada. it's closer to Europe from this point than Vancouver. - there aren't any any snakes or skunks on the rock, but there are spiders. - the legend goes that Newfoundland fishermen received cheap paint from the government to paint their boats. some wily soul decided that he would save some money by using the brightly coloured paint on his home and the practise caught on.